let the ducks do the quack! 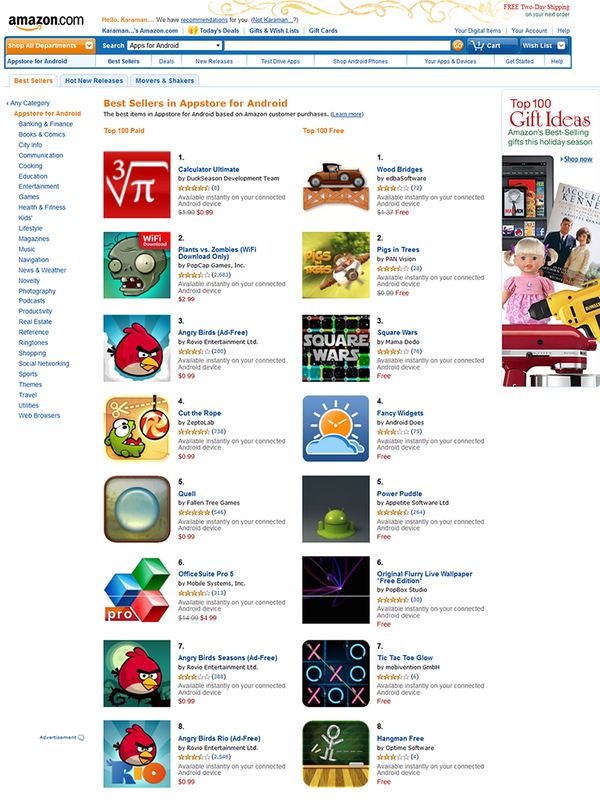 Calculator Ultimate #1 paid app in Amazon Appstore!!! Cheers!!! We are exceptionally happy to announce that Calculator Ultimate has reached a top rank #1 paid app on Amazon Appstore at 10 Nov 2011 23:00 GMT+2. We thank you all for your trust and we hope that our application will serve you well!! For all of you that are running Calculator Ultimate on your Android devices, we would like to remind you that we are at your disposal for whatever you might need through our support mail (support[AT]duckseason[DOT]mobi). Customized by insiteful - Hosted by host-it.